The first change you will notice the splash screen, unlike the earlier version is it more graphical. Next change the startup screen, unlike the usual IDE layout and screen, it is changed and will look like this. 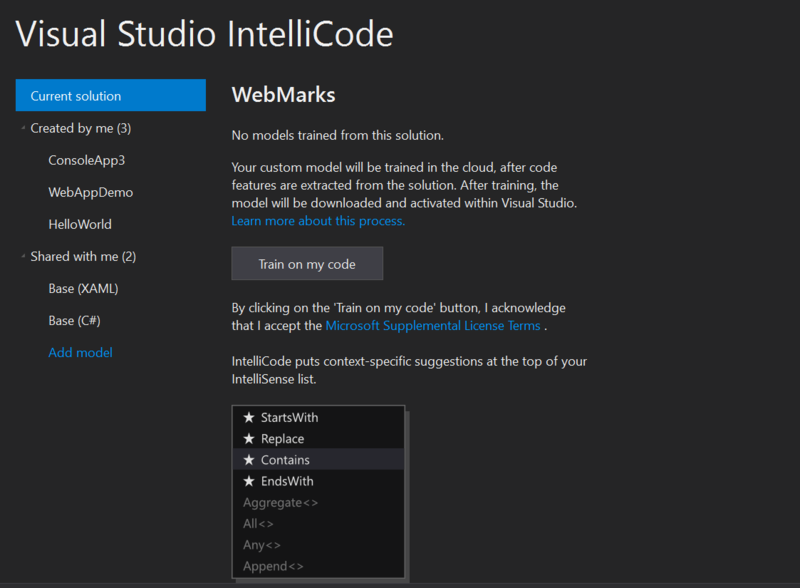 You can click on the continue without code option to go to the old Visual Studio user interface. 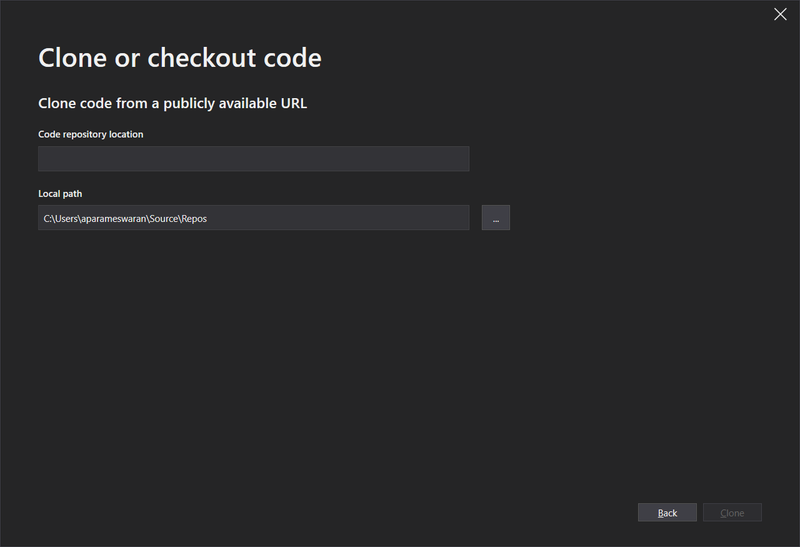 If you click on the Clone or Checkout code option, it help you to clone an public repository. This will clone the repo and open the project in Visual Studio. Another change is Create New Project option. In this screen you can choose the Language (C#, F#, Typescript etc), Platform (IOS, Android, Azure etc) and Project type (Cloud, Console, Data Science etc.). You will be able to search and install new templates from this screen. Once you select a project type, click on next will show the new project configuration screen, where you need to choose Location and give the project name. Based on project type, it may show more selection screens, like if you choose ASP.NET Core app, you need to choose the project type, target framework etc. For this demo I am using a .net core console application. Once you clicked on create button, Visual Studio will create the project and load it. Here is the IDE loaded with .NET Core console application. 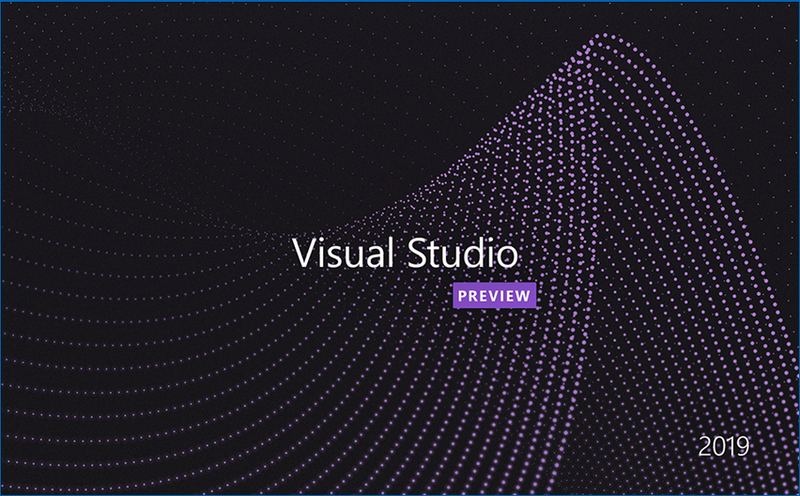 Search Visual Studio - Formerly known as Quick Launch, our new search experience is faster and more effective. Now, search results appear dynamically as you type. And, search results include keyboard shortcuts for commands, so that you can more easily memorize them for future use. In this search, you will be able to look for commands, settings, documentation. 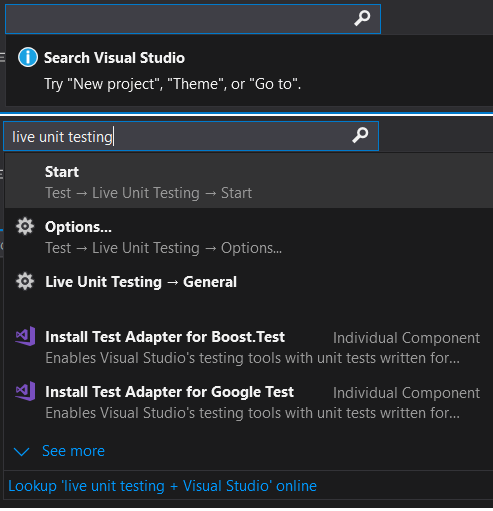 Visual Studio Live Share - Live share is a developer service that allows you to share a codebase and its context with a teammate and get instant bi-directional collaboration directly from within Visual Studio. With Live Share, a teammate can read, navigate, edit, and debug a project that you’ve shared with them, and do so seamlessly and securely. 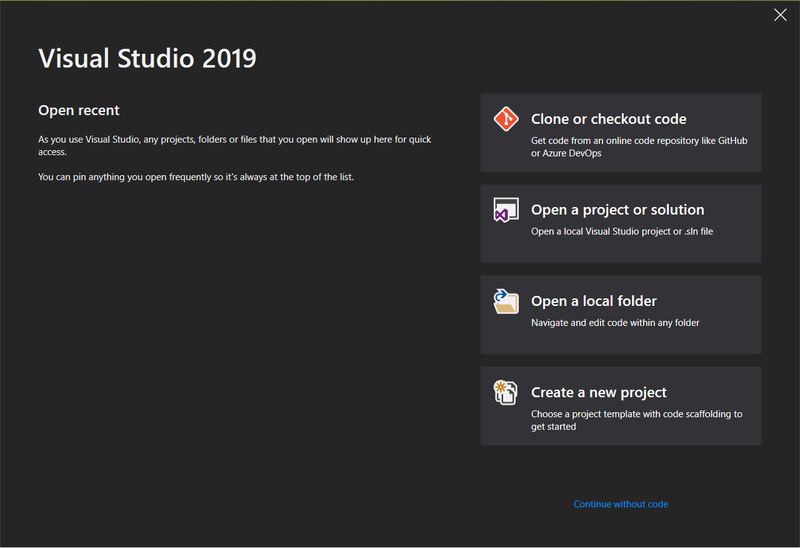 In Visual Studio 2019 Preview, this service is installed by default. One-click code cleanup - Similar to Jetbrains resharper, VS 2019 also shows a new document health indicator and there is a new code cleanup command. You can use this new command to identify and then fix both warnings and suggestions with the click of a button. Once you configured the Code Cleanup rules, you can choose the Don't Show this dialog checkbox and run the code cleanup silently. The cleanup will format the code and apply any code fixes as suggested by the current settings, .editorconfig files, or Roslyn analyzers. 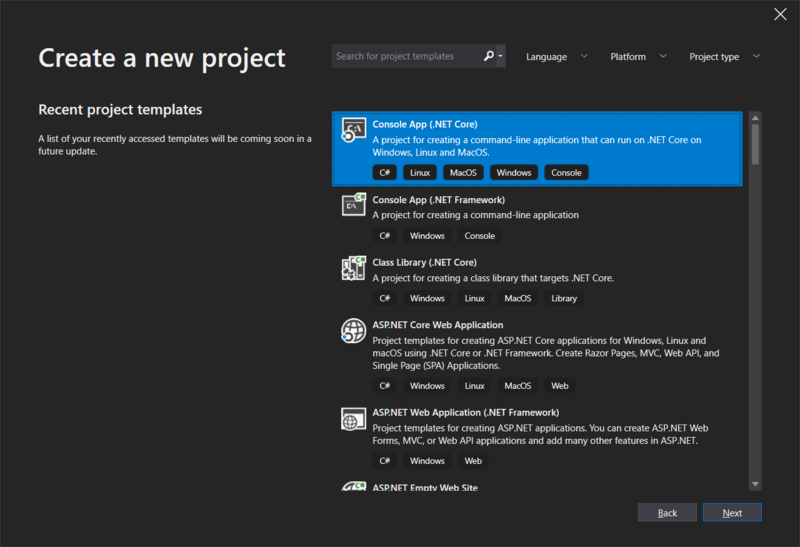 Develop with .NET Core 3 Preview 1 - The preview release of Visual Studio 2019 supports building .NET Core 3 applications for any platform. You need to install the .NET Core 3.0 SDK. 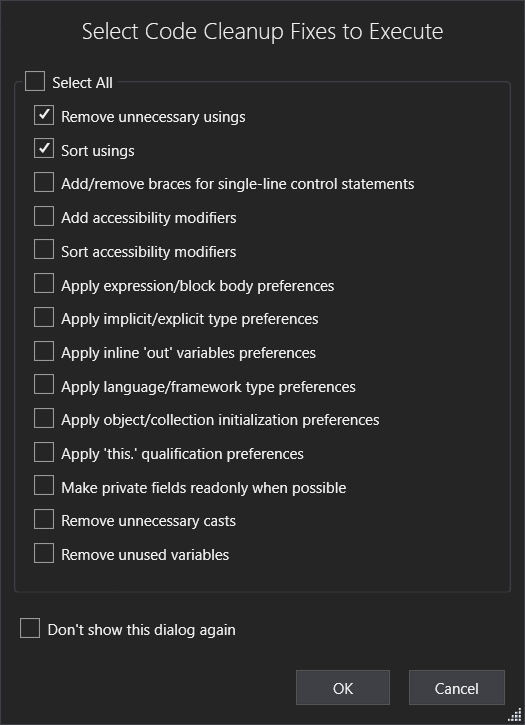 Visual Studio IntelliCode - This is not a VS 2019 feature. 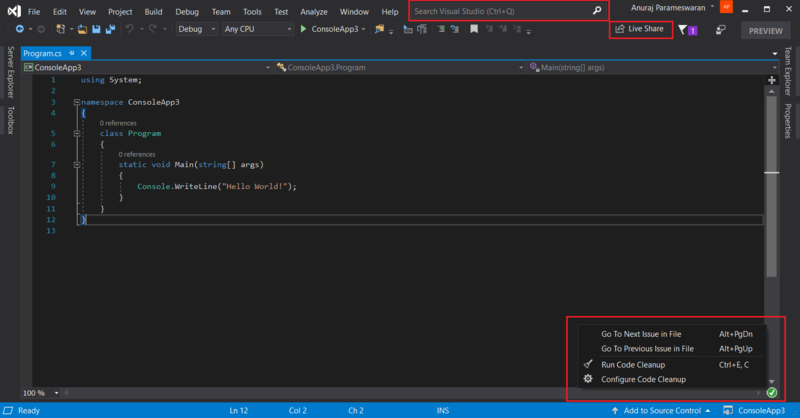 Visual Studio IntelliCode is an extension that enhances your software development efforts by using artifical intelligence (AI). IntelliCode trains across 2,000 open-source projects on GitHub—each with over 100 stars—to generate its recommendations. Once you install this extension and if you’re using C#, IntelliCode comes with an ability to train a custom model on your own code.